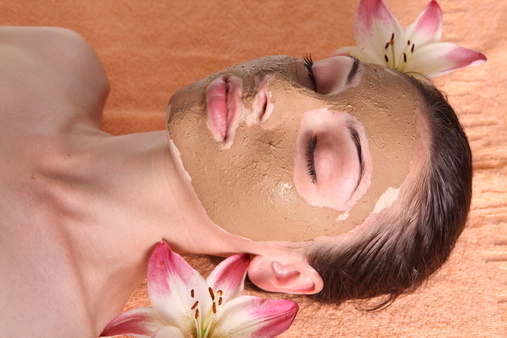 Want to learn how to make white face at home with natural products? Then try to prepare the following mask and tonic for the white porcelain and smooth skin. Don't know how to make face white at home? Try to make the brightening cream, a mask or tonic from natural ingredients. You will easily be able to remove age spots, freckles on the face and get rid of an uneven tan, adding radiance and naturalness. At one time the fashion for tanning and solariums attracted American and European girls, but the resident Asian on the contrary - in every possible way tried to get white skin. So they regularly wondered about how to whiten the face independently without using the services of a surgeon and a cosmetologist. Constant use of makeup only harmful to the skin. The most optimal solution for lightening of the person will be tested for centuries folk remedies that are not only easy to prepare, but also effective. Mask of parsley will make the face noticeably brighter. Take the parsley leaves whole, chop it in a blender and apply to clean, dry face. After half an hour rinse with water. Tonic parsley and lemon juice will be an excellent remedy for excessive pigmentation. To whiten the skin, you need to add in the grinded mixture of parsley lemon juice (1:1) and wipe face with this tonic in the morning and evening. Honey mask with crushed parsley will not only help restore the white skin, but get rid of age spots. Strain through cheesecloth, crushed in a blender, parsley and wipe your face with the obtained solution using a cotton pad. An excellent option for skin lightening is the production of ice cubes of pureed mixture of parsley, diluted in water. This frozen tonic can be used every morning and evening. 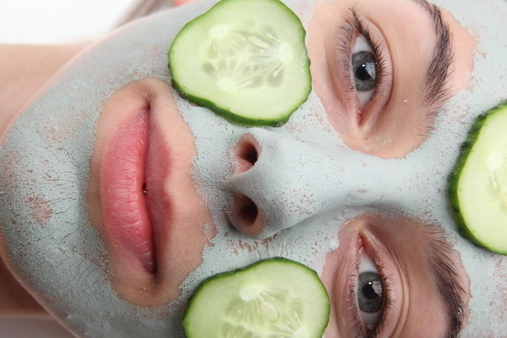 Mask of cucumber will not only help to whiten the face, but also to return the skin a healthy radiant look. To do this, simply slice the vegetable into thin rings and put them on problem areas of the face for 15 minutes. Mask of grated cucumber with lemon juice and sour cream (2 tbsp) can make the skin white. You should leave the mixture on the cleaned face for 20 minutes and then rinse with water. For masks you should choose berries that are rich in vitamin C and not staining the skin. Here is perfect strawberries, currants, raspberries, and cranberries, but blueberries and mulberries have to give. Saturate gauze juice or with a mixture of mashed berries and put it on your face for 10 minutes. Then wash with water. The berries can be mixed with honey and apply as a mask for 20 minutes and then rinse with warm water. Being an effective antioxidant, rice is not only able to return youthful face, but also whiten the skin. The mask is prepared from rice flour (1.5 tbsp) and hot milk is diluted to the consistency of sour cream. Before applying the tool, you must handle the skin with any vegetable oil. Leave the rice mask on the face for 15 minutes and then rinse with warm water and finish care day or night moisturizer. Want to lighten your skin, then use the masks cheese, as all natural dairy products contains zinc and lactic acid. Whisk 0.1 kg of cottage cheese, add 1 tbsp of honey, 2 tsp of sour cream and a few drops of lemon juice. 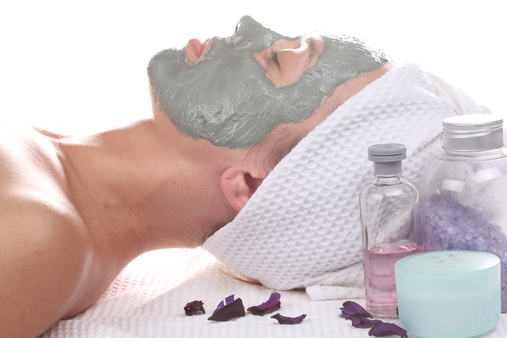 Hold on the face whitening mask to harden and then gently rinse with warm water. 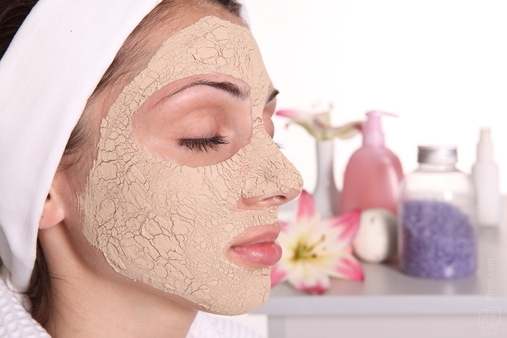 If you have oily skin, then a mask with hydrogen peroxide will help to make the face white at home. However, to use this tool no more than once per month. Dissolve a package of fresh yeast with hydrogen peroxide 3% to make a thick mixture and apply the mask on dry clean face, avoiding areas around the eyes. Leave it for 10 minutes, trying this time not to use facial expressions. Mix hydrogen peroxide (5 ml) cream (10 ml) and lemon juice (8 ml) and leave the mixture on the face for 15 minutes, then rinse with water. The best way to whiten sensitive skin and the eye area is the mask made from grated potato. Apply it on clean, dry skin for 15 minutes, rinse with plain water. To make your skin white, you must adhere to a certain diet that excludes the consumption of large amounts of carrots. But eating fruits with vitamin C, bell pepper and green peas can not refuse. Also do not forget about sunscreen, even if you live in the Northern regions of the country. Despite the fact that a light tan makes the skin beautiful and healthy in appearance, many girls prefer aristocratic pallor. To achieve the same effect with makeup. Before you decide to make a "snow white", think about how you will look with a very pale face. Not everyone can afford "porcelain" makeup.If you have naturally light skin, dark hair (blond or light brown), grey or blue eyes - you can wear this makeup.But if you have dark skin, dark hair, brown eyes - alas, the "snow maiden" you can't be. 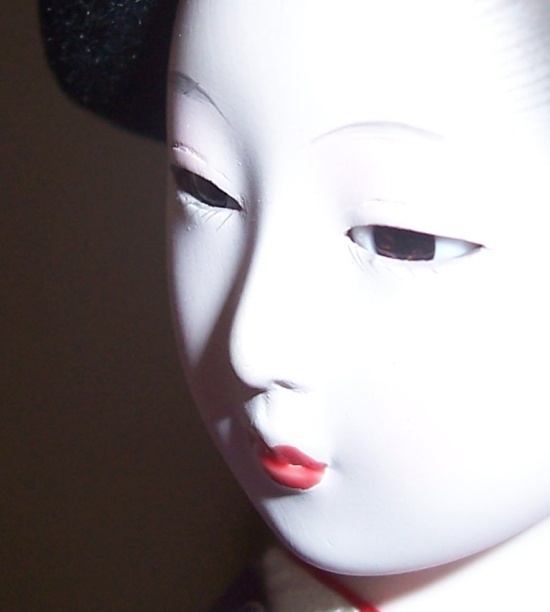 Although every rule has exceptions.The perfect tools for pale skin - those that are created for Asian women. On the nature of their dark skin, therefore they try to whiten it.However, the Europeans, from which to make a choice.So, clean the skin and moisturize it. Apply all over face concealer a tone lighter to your skin, blend well it. Hide all the imperfections using the corrector, dark circles under eyes by using concealer. Pale skin has to be perfect. Apply all over face translucent powder with a slight lightening effect to secure the makeup. Select the corner of the eye, the space under the eyebrow, nose and cheekbones powder or cream highlighter. This is to ensure that the skin is beautifully lit up and looked pale, but healthy. With this makeup, the emphasis should be on the tone of the face but not the eyes or the lips. So ogranichtes only mascara for eye makeup and lipstick bright natural shade.Instead of lipstick you can use a thin layer of Foundation, which will emphasize the whiteness of the face. To the face didn't look completely lifeless, apply a DAB of blush just below the cheekbones, under the highlighter. All the ways to make the skin noticeably whiter are only provided if you choose to perform the treatment regularly. If, after the first results that appear to stop the use of bleaches, then after a week you will notice a reverse process, because the melanin secreted by the skin daily and is a coloring pigment. For the preparation of bleaching lotion take 2-3 cucumber. Grate on a fine grater and pour a glass of cold boiled water. Allow to stand for 5-6 hours and strain. Wipe the skin with lotion 2 times a day. Take the 1.5 tbsp. spoon mixture of leaves and roots of parsley. Pour two cups of water and put to boil on low heat. The broth needs to simmer for about 20 minutes, after which it needs to drain. Wipe the area of skin you want to bleach twice a day. Take a bunch of parsley and the juice of one lemon. Chop the parsley and pour lemon juice, then add half a liter of vodka. You need to insist about two weeks, then strain and apply on the skin daily. Wipe the skin with plastic cucumber. Instead of cucumber, use lemon juice. This will not only whiten the skin, but also tightens pores. If you don't like to prepare decoctions and infusions, use ready-made cosmetic products, which are sold in stores. Buy a cleanser, toner and face cream of any manufacturer, the important thing to them was the inscription "have a bleaching effect." Well, the most effective way of a cosmetologist. Refer to any beauty salon and you will have a whitening procedure skin by special means, the effect of which persists for a long period of time. Nicole Kidman, Dita von Teese, Marilyn Monroe and other icons of Hollywood have one common characteristic feature – the white skin, as if never knew sunlight. Exquisite Lily paleness of the face (at least) the object of lust of many girls. There are several ways to make the face lighter. Skin whitening need to regularly use a tonic of freshly squeezed juice of the quince. Fruits RUB on a small grater or chop in a blender, then squeeze the juice. Wipe his face several times a day.An excellent whitening remedy is the juice of marigold. Flowers crush to a pulp, and then squeeze out the juice, which lubricate the face. Good lighten skin face mask. Brightening mask for the face must contain such ingredients as lemon juice and cucumber, tomatoes. The remaining components of the mask dependent on your skin type. Another effective form of masks – masks with strawberries. A handful of berries, crush, the resulting slurry mix with 1 tbsp. of milk. Apply on the face under the cloth. A quarter of an hour rinse with cool water. The use of bleaching agents is another step to the white skin. When buying bleaches, make sure that they contain ingredients of natural origin – papain, licorice. To preserve the white color of the skin, use creams with high protection factor from ultraviolet radiation upon each exit to the street. Avoid drinking coffee, alcohol and tobacco.